At EPI Group, our Technical Operations team have a strong background of not only designing technically optimal geophysical surveys, but also assuring optimal implementation. Having the right people married to the right tools is critical – and EPI have both. EPI Group can address your design and optimisation problems simply and efficiently, without significant expenditure on personnel and tools – saving money, increasing confidence and aiding in the de-risking your project. For the optimal implementation of marine surveys, EPI Group use the suite of tools from Engenius Software, in particular SurvOpt for streamer surveys and Seafloor Planner for ocean bottom surveys. 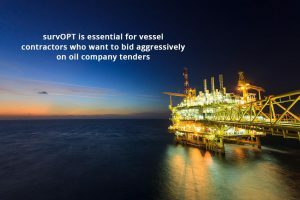 By taking all the known line plans, obstructions, vessel specifications, current information and tides, the SurvOPT and Seafloor Planner integrated environment allows accurate acquisition model development, as well as a full time and cost analysis – so that budgets can be accurately forecast. 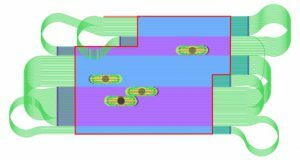 As well as finding efficient shooting plans and accurate completion estimates, SurvOPT seismic survey design software can compare vessel configurations side by side, explore different costing models and can analyse the effect of almost any parameter change. Obstruction inclusion and definition of undershoot areas allows for informed decisions regarding methodology – and so can be used to decide on node placement around platforms when principally acquiring with streamer. 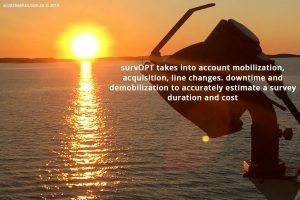 The software can manage everything from simple 2D operations to WATS, WAZ and MAZ streamer surveys, as well as optimise multi vessel simultaneous operations for ocean bottom acquisition. Contact us today to see how EPI group can help with designing and optimising your survey.